Years ago, a little company with a rather appropriate name, Muck, put a product on the market that was the first of its kind. Waterproof work boots made out of neoprene. Yes, the same stuff they make wetsuits out of. Neoprene is a synthetic rubber that is known for its durability, chemical resistance, burn resistance; and most importantly, for its flexibility, even over a wide range of temperatures. In short, it’s like rubber… on steroids. Muck is the original neoprene boot maker. And in all the time since, nobody has made a better neoprene boot yet. Except Muck… with its latest line of neoprene boots: Muck Terrain Boots (MTR-000). Muck Terrain Boots are 18 inches high. They are rimmed with an adjustable neoprene dirt/snow skirt. The upper features textured rubber guards, which offer protection in places that get poked, jabbed, and scuffed the most. These Muck Terrain Boots are made from 4-millimeter neoprene. 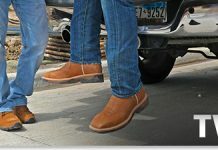 They are generously sized around the calf, which allows you to tuck your pants in. Because, really, what’s the point of wearing neoprene boots if you can’t keep your pants dry? The traction treads on the bottom of the soles are specifically designed to stay glued to tree-stands or the footboards of your ATVs and snow machines. That’s key. It would be awfully tough to enjoy your outdoor activities if your footwear you were relying on actually caused problem by making you slip. So avoid the problem altogether, with a pair of Muck Terrain Boots. The great thing about these Muck Terrain boots is that they are stout and sturdy, yet surprisingly comfortable during longer walks. It’s the best of both worlds in these waterproof boots. 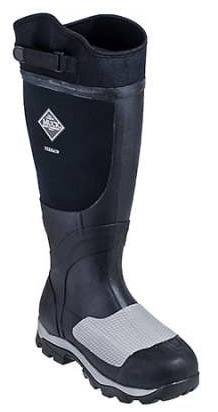 You get a rubber/neoprene style boot that offers a level of protection that is much better than similar brands, and you will actually enjoy wearing them because they’re also comfortable. Muck Terrain boots have been met with high praise by industry evaluators. Outdoor Life Magazine selected Muck Terrain boots as an Editor’s Choice, and also gave it four stars, the highest possible rating. As for grades, the Muck Terrain boots earned an A in the categories of Construction/Materials, Meets Intended Use, Innovation; and an A- for Fit and Price/Value. Speaking of price/value, you won’t find a better one than at Workingperson.com. We’ll set you up with the perfect pair of Muck Terrain Boots. Come pick yours out today! 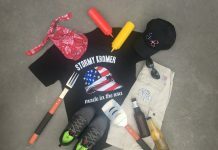 Muck also offers, steel toe work boots, waterproof shoes, 6 inch waterproof boots and hunting boots, along with many other styles.